News - Bieber heading for US X Factor? 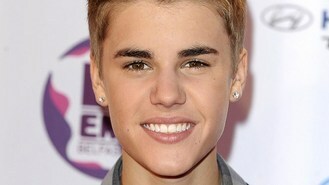 Bieber heading for US X Factor? E! News said that multiple sources confirmed the 18-year-old would be taking part in the show. TMZ originally reported that Justin would be teaming up with judge LA Reid's team to whittle down contestants for the live shows. The Boyfriend singer was apparently spotted filming the show in the Hollywood Hills on Monday. He tweeted: "Long day but great day. @LA_Reid @ScooterBraun just like old times! Thanks." Britney Spears and Simon Cowell will also partner with mentors at their homes while Nick Jonas is said to be helping out Demi Lovato.